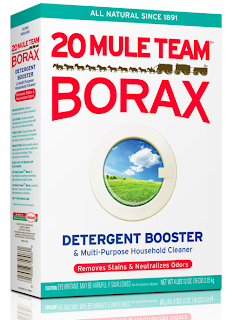 20 Mule Team® Borax is 100% natural mineral from the earth that is an incredible laundry booster. Once removed from the ground it is washed, dried, and boxed for consumers. It's from California where one of the world’s largest deposits was discovered in 1913. Absolutely nothing is added. No phosphates, chlorine, or other additive chemicals. We Utahns are very familiar with hard water. 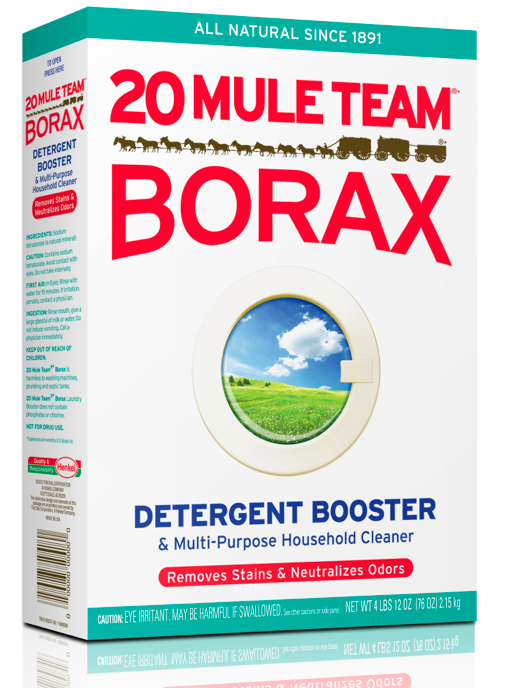 20 Mule Team Borax naturally softens hard water which protects your detergent and maximizes cleaning power! It also keeps stains from being re-deposited back onto clothes!! Where can I get Borax. Use a 1/2 cup of 20 Mule Team Borax dissolved in one gallon of hot water on sinks, counter tops, cookware, refrigerators, microwaves, toasters, and any other appliance. You can apply this dilution of all-natural 20 Mule Team Borax to any surface including tile, ceramic, porcelain, slate, marble, granite and stainless steel. Dishes, pots, and pans: Add a half cup of 20 Mule Team Borax to reduce water spotting, remove grime, and put a shine on dishes, utensils, pots, and pans. Dishwasher detergent boosting: Increase the power of your dishwasher detergent by sprinkling a 1/4 cup of 20 Mule Team Borax onto the bottom of the dishwasher to reduce spots and film on dishes and glasses. Multi-purpose cleaning: Dilute a 1/2 cup of 20 Mule Team Borax in a 12-ounce spray bottle of water to deodorize mattresses. Use a 1/2 cup of 20 Mule Team Borax per gallon of water in humidifiers for odor control. Carpet cleaning: Use a 1/2 cup of 20 Mule Team Borax per gallon of water in carpet steam cleaning machines. Sprinkle 20 Mule Team Borax on a damp sponge or cloth and wipe on shower stalls, tubs, walls, and tile to remove soap scum, hard water deposits, and dirt. It will also brighten grout and tile. With 20 Mule Team Borax, you don’t have to scrub and scrape to remove rings around the tub and other tough bathroom grime. Sprinkle 1/4 cup of 20 Mule Team Borax into the bowl, then swish with your toilet brush to keep bowl and brush bacteria—and odor—free. 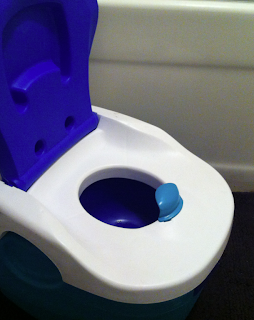 I'm potty training my son now and he has a little potty that needs to be cleaned. I just pour some Borax into the toilet and swish his little potty in it. It works great and it's an easy clean! Fresh-cut flowers of many varieties may be permanently preserved. 20 Mule Team Borax removes moisture from blossoms and leaves, thereby preventing the wilting which would normally result. Borax provided a free sample of their product so I could review it. All opinions are 100% mine. There's so many different ways to use this product ..i would love to try it! This is a great product! Thank-you for the giveaway!! This is such a great product for cleaning, activities with the kids, and I use it to make liquid goats milk soap. I would love to win! I didn't know it had so many uses. Never tried this product before! I haven't tried this but have heard good things about how well it works. I'd really like to try this out! Thanks for this great giveaway. I would like to try this product. I always use Borax (with Purex) on the sheets; it makes them so clean and not perfumed. I love all the many uses for this product. Thanks for this giveaway! I use this in my homemade liquid laundry detergent and save a bundle! Thanks! Thank you for the picture of the child's potty. I am going to try it out on ours. I have mostly been using it in my laundry soap but I am going to start using it more. I use this to make detergent. I love it! Borax is a great product with many uses! Thanks for the great giveaway! Thank you for the giveaway! I love making my laundry soap with it! I use Borax all the time. I use it to make laundry detergent, household cleaners, carpet freshener. It really is great for everything!! Borax rocks! Thanks for such an awesome giveaway! Borax has a TON of uses! Love Borax. I make my own detergent and use Borax. Love this when I make my own laundry soap!!!! I have been using borax for years. I used it last night to spot scrub my livingroom carpet & it loos great. I've always been a fan of Borax!! Thanks for this giveaway chance! I would like to use this to boost my detergent! I used this when my son was a baby 30 years ago and it is still a great buy and does a great job today. Ive never tried this before. I have seen this product in stores, but I had no idea that there were so many different ways to use it! Thanks for the great giveaway! I would love to win this because my family and I make our own laundry detergent and this is one of the ingredients. YAY! Love me some Borax! Thanks for the giveaway! I've never tried Borax, and look forward to the opportunity! I would love to try it..been wanting to make homemade laundry detergent! I have tried Borax in homemade laundry detergent, but not on anything else. I'm going to try it on some other cleaning jobs now! I use Borax to make laundry detergent.